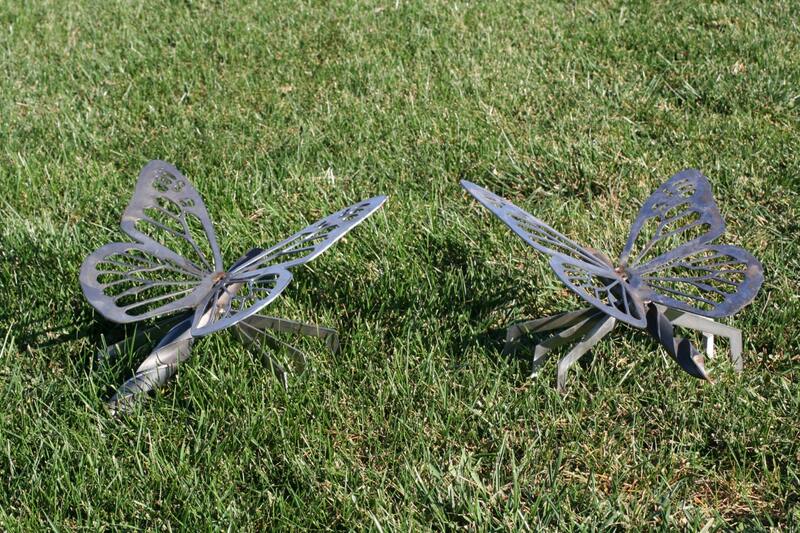 Giant Metal Butterflies start with a very large, recycled drill bit. The drill bit is welded onto heavy metal legs. 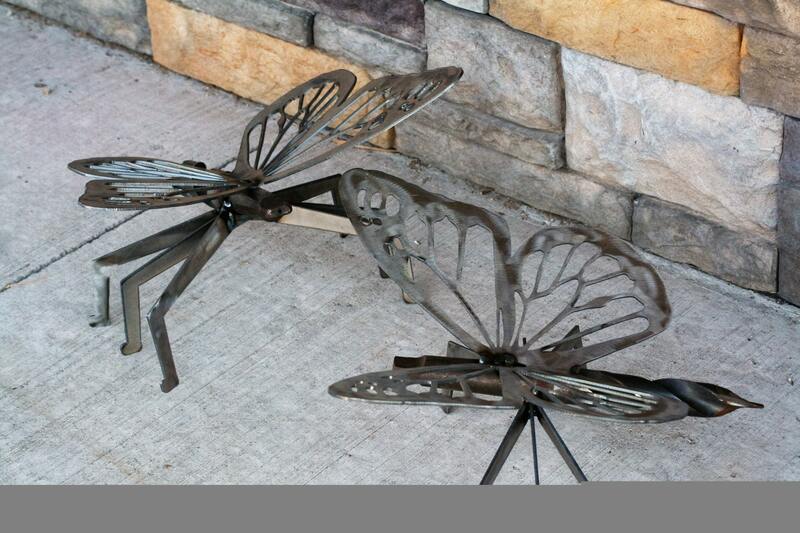 Then hand bent metal wings are added to create this one of a kind butterfly! 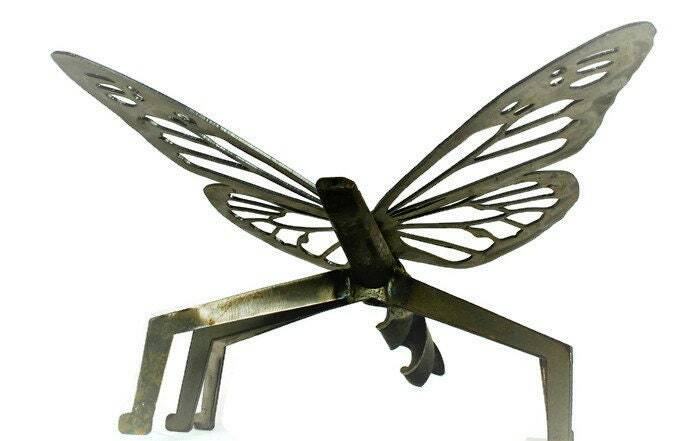 Each beautiful butterfly is slightly different. Each is one of a kind! 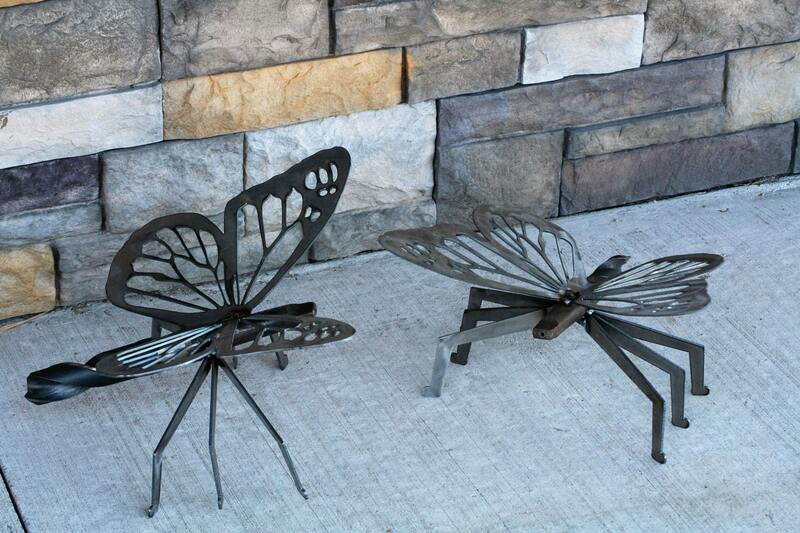 Metal garden butterflies are made of steel so they will continue to patina with time. 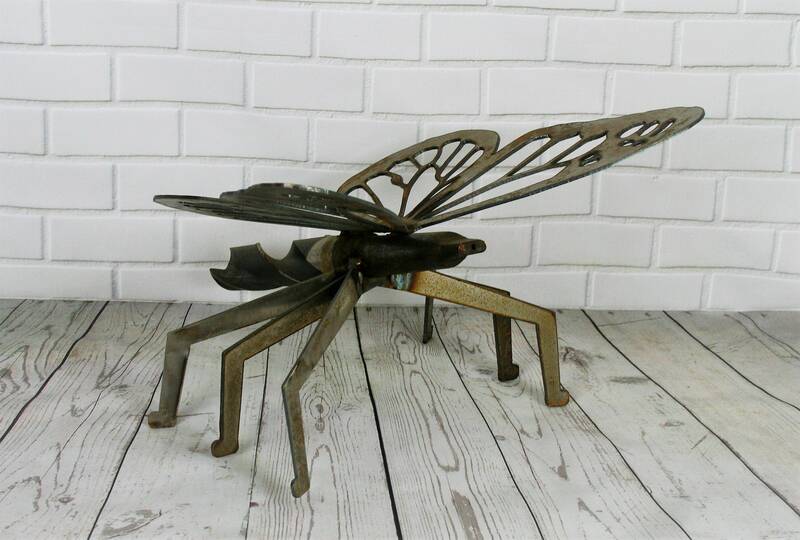 These metal sculptures are made to last for decades! 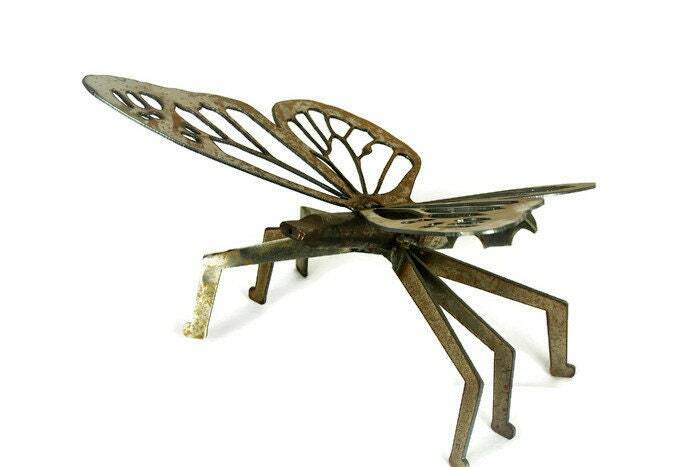 15" wingspan and 10" height overall. 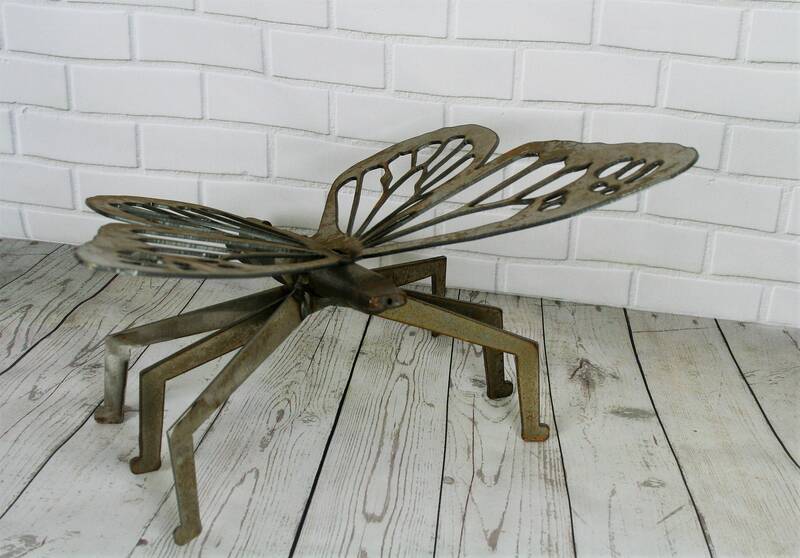 This industrial butterfly is an adorable addition to any patio or landscape. 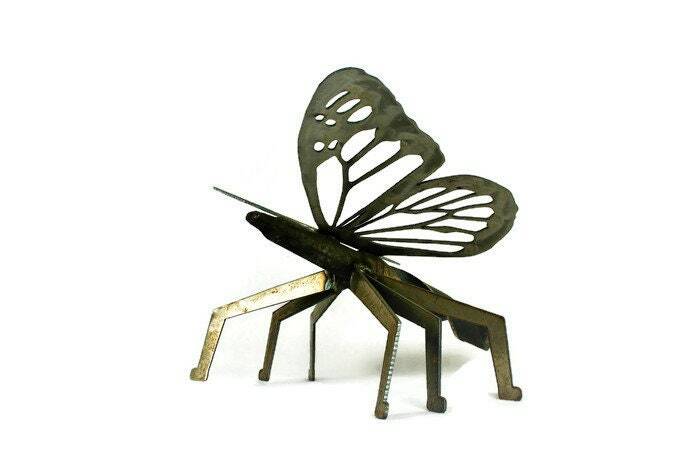 This is a large, sturdy butterfly. Ready to ship and make its new home with you! 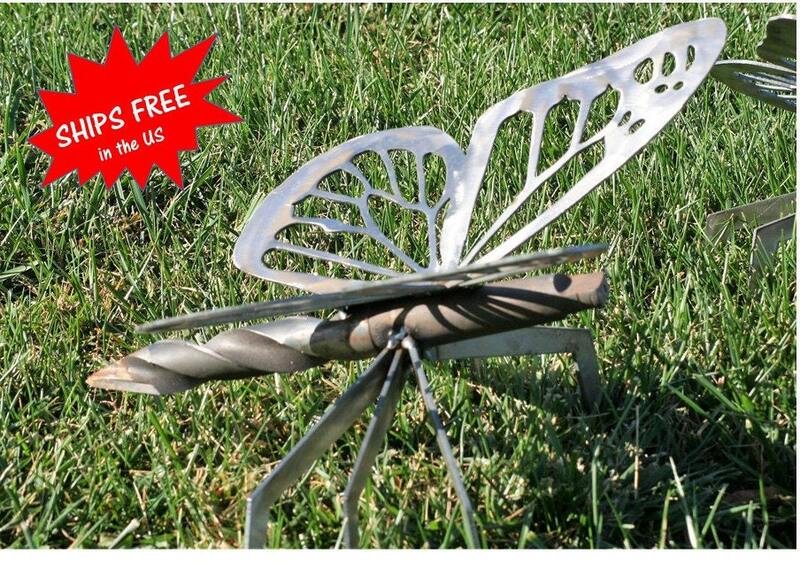 Butterflies ship for FREE! No additional surprises at checkout. 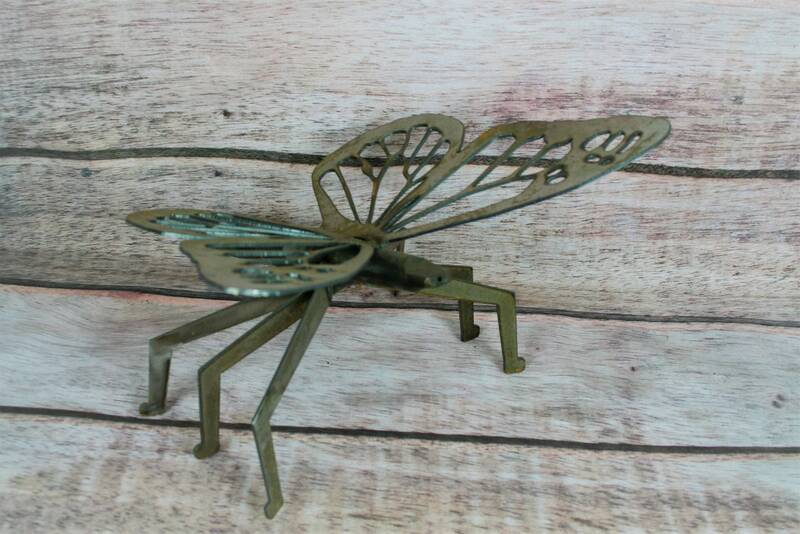 We hope you love this butterfly as much as we loved creating it!